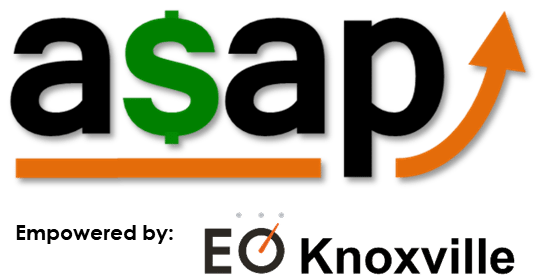 Invest in your entrepreneurial future by joining EO Knoxville’s ASAP program in the month of December for a special discounted rate of $992* (includes a $500 training and initiation discount). For inquiries or details, contact EO Knoxville at: admin@eoknoxville.com. * This amount reflects the prorated program rate as of December 2017 on EO’s July-June fiscal year. Dues renew on July 1, 2018 at $1,700 per year. Processing and handling fees paid by the participant.